Many EMS services around the world carry topical nitroglycerin for use on acutely ill patients. How effective is topical nitroglycerin in this setting, and what should every provider know? The onset of topical nitroglycerin is not exact but ranges from 30 minutes – one hour for the desired effect to be achieved. For many EMS providers, transport time to the closest emergency department is less than 30 minutes. More importantly, can a patient with acute pulmonary edema really afford to wait 30 minutes for this treatment to take effect? Probably not. 2% Nitroglycerin ointment (Nitro-Bid) contains a whopping 15mg of nitroglycerin per inch applied. While a 15 mg bolus of NTG would likely devastate the vascular tone of a patient, in the topical form, it does not. This brings us to our next key item, the rate of delivery. That’s right, you will have no idea exactly how much NTG your patient is actually receiving. Even when using sublingual nitroglycerin, we can estimate that the patient is receiving roughly 60-80 mcg/min, but this is not possible with nitro-paste. Studies have shown that a single application of topical nitroglycerin can have clinical effects for up to 7 hours. However, even if the delivery is exquisitely consistent over those 7 hours, a patient with one inch applied would receive a maximum of 36 mcg/min. Even if you were to apply a two inch dose (30 mg), the topical route still has a 30-minute onset, and even then seems unlikely to be as effective as sublingual or intravenous NTG. If the fact that it takes 30 minutes or more to start working was irritating, you will be thrilled to know that it takes just as long to STOP working. This is presumably due to the many nitroglycerin molecules that, prior to removal, started their voyage through the epithelial jungle but have not yet reached the systemic circulation. Somewhere in between all of these undesirable properties of topical nitroglycerin, surely there must be something good, right? Well, here it is! Topical nitroglycerin MAY be useful in starting peripheral IVs. A small amount of NTG applied to the site where you wish to gain IV access, may cause enough vasodilation to make that difficult stick, a little less difficult. Of course, this is not likely to be included in your protocols, and I am in no way recommending this. In all reality, improving your tourniquet technique will probably have more significant, and faster results. Thanks for reading! Even though the last tip I offered was not much of a real tip, it leads into my next episode, on improving your IV starts. I have some really great pointers that I think everyone can benefit from. Please take a moment to follow the site via e-mail here. You can also follow me on Twitter and Facebook. 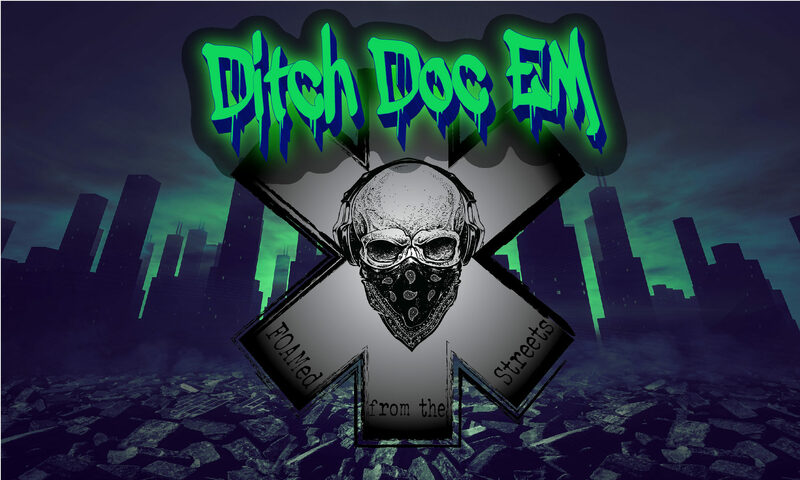 Also, don’t forget to check out all of the new Ditch Doc EM Apparel, available from Resus Threads! Each purchase of one of the Ditch Doc EM designs helps support the site, so thank you in advance for checking it out!